Our range of outdoor BBQ fire burners are perfect for grillouts and add warmth and light to any surrounding. Corten Steel and Black Steel options. 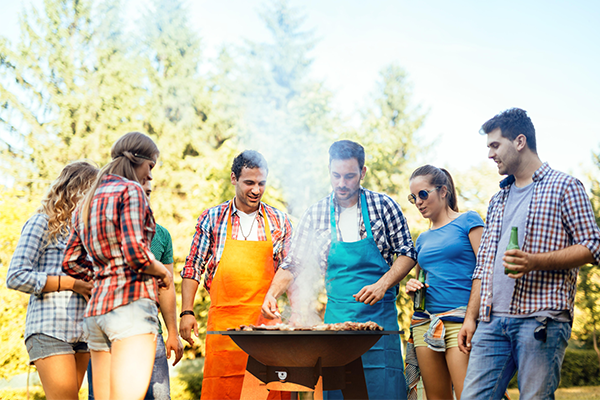 There's not many things better than enjoying time with family and friends around a barbecue. As the day melds into the evening, why not huddle around one of our stylish, dual purpose BBQ Burners to get the most out of a chilly evening's cook-out. Our Corten Steel solid fuel burners retain heat beautifully, radiating warmth to your guests whilst you wow them with your fabulous culinary skills. The Stig L and XL fireplace BBQs can also be supplied in a heat resistant black finish.